The mission to Equatorial Guinea is part of a series of events of DESA/SD’s regular programme of technical cooperation to support the implementation of the Framework for the Development of Environment Statistics (FDES 2013) in member states. 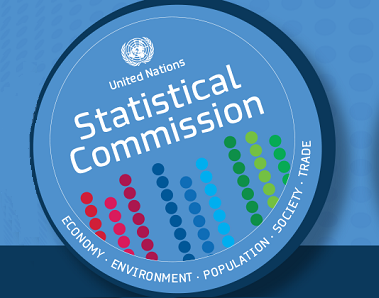 The mission will comprise two activities, bilateral consultations with the National Statistical Office (NSO) and a national workshop on environment statistics. The aim of the bilateral discussions is to engage in detailed discussions with the counterparts in the NSO about the main issues regarding environment statistics in the country, have a better understanding of the main data gaps, and examine the way forward and identify steps to be taken to finalize the work plan and fill data gaps. The main goal of the national workshop is to bring the stakeholders together to increase awareness of the need for environment statistics in the country. For this purpose, the FDES 2013 and the Environment Statistics Self-Assessment Tool (ESSAT) will be used extensively in the workshop. A draft national work plan will also be discussed during the workshop. UN DESA’s Statistics Division is organizing a sub-regional workshop entitled “Workshop on Environment Statistics in support of the implementation of the Framework for the Development of Environment Statistics (FDES 2013) for the Economic Community of Central African States (ECCAS) region”, in collaboration with the African Development Bank. It will take place in Libreville, Gabon from 27 November to 1 December 2017, with on-ground support being provided by the ECCAS Secretariat and the Government of Gabon. Several other international and inter-governmental organizations are expected to participate in the Workshop, including the Food and Agriculture Organization of the United Nations (FAO), the Economic Commission for Africa (ECA), l’Institut Sous-régional de Statistique et d’Economie Appliquée (ISSEA), la Commission des Forêts d’Afrique Centrale (COMIFAC), La Commission Régionale des Pêches du Golfe de Guinée, (COREP), Pool Energétique de l'Afrique Centrale (PEAC) and L’Observatoire Économique et Statistique d’Afrique Subsaharienne (AFRISTAT).